All young musicians dream of a fantasy collaboration when they’re plotting out their careers. The artist that the members of Suchmos think of? Michael Jackson. “I know. Sadly, he’s no longer with us,” says lead singer Yosuke “Yonce” Kasai via email. “But I share my birthday with him, so I always thought of it as fate.” The King of Pop’s smooth disco tinges can be felt in the 12 catchy tunes of “The Bay,” Suchmos’ debut album, although Jackson is far from being the only influence. 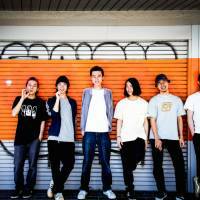 The Kanagawa Prefecture-based six-piece also draws inspiration from a number of old-school hip-hop acts. “We all like Q-Tip and De La Soul,” says Yonce, also citing Hiatus Kaiyote, an Australian neo-soul group, as their current favorite. Their tastes come through as Suchmos incorporates urban beats and the occasional rap verse, with soulful vocals and atmospheric guitar riffs to create its signature sound. “We wanted to keep the essence of live instrumentation intact,” Yonce says of the album’s final mixing process, which was spearheaded by guitarist Taiki “Taiking” Totsuka and DJ Kaiki “Kcee” Ohara. The emphasis on instruments over digital programming means Suchmos is very comfortable on stage, and crowds can catch a set at this weekend’s Sweet Love Shower festival. One of the band’s other influences is jazz legend Louis Armstrong, but it isn’t apparent in Suchmos’ music. 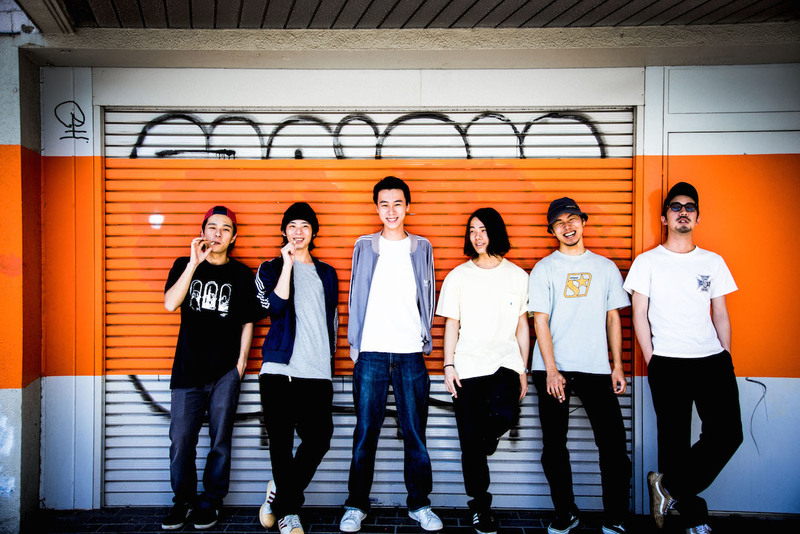 Suchmos plays the Waterfront Stage at Sweet Love Shower festival on Aug. 28 at 4:05 p.m. The festival takes place Aug. 28-30 at Koryu Plaza Kirara, Lake Yamanaka, Yamanashi Pref. “The Bay” is in stores now. For more information, visit www.sweetloveshower.com or www.suchmos.com.